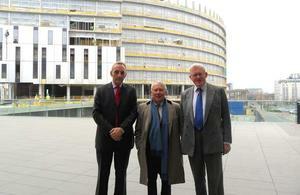 Thames Gateway Minister Bob Neill has visited London’s Docklands to see how private investment is supporting the local economy. His first stop was ExCeL, host to boxing, judo, taekwondo, table tennis, weightlifting and wrestling events for next year’s Olympic games. This international conference centre is set to contribute £1.6 billion to the economy in 2011 alone and will support 38,000 jobs. Mr Neill also saw construction of the new £65 million hotel next door, already fully booked for the Olympics. At the University of East London’s Docklands campus he saw how they were developing students’ skills and supporting entrepreneurship with their Knowledge Dock Business Centre. 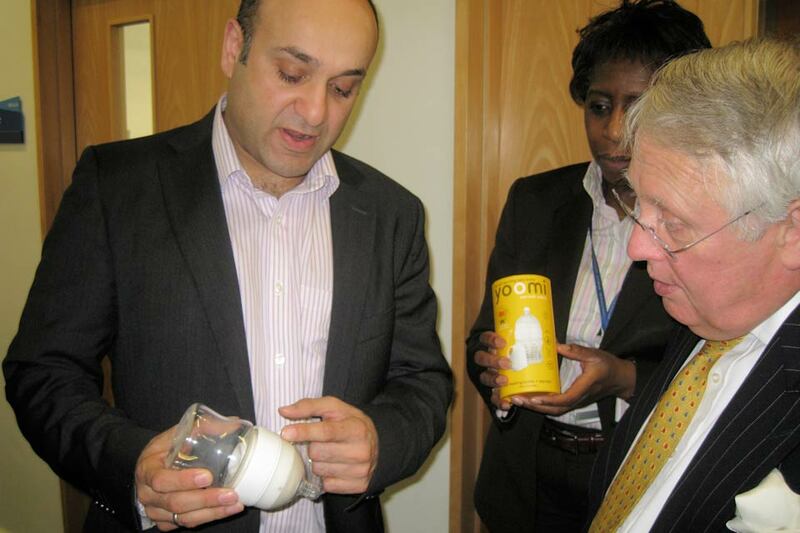 He met entrepreneur Jim Shaikh, who started Yoomi - a self-warming baby bottle business - at the centre and is now expanding into America and other international markets, projected turnover is £1m per annum. At London City Airport the minister heard how it’s supporting the local job market with over 60% of its employees from within 5 miles of the airport. Over the last 18 months the airport’s award winning Take Off Into Work Programme has helped get 130 people back into work from long term unemployment. “Visiting London’s Docklands has let me see first hand how the private-sector continues to be a real driving force behind local growth in the Thames Gateway. The expansion of ExCeL as a world-class conference venue, where 65% of employees come from East London, is set to benefit by the UK economy by £1.6 billion this year alone.